A kung fu group limited spaces available, which is a great opportunity to get more direction and 1 on 1 time with the teacher. 1 on 1 tuition is still available, but must be booked well in advance to avoid disapointment, book a 1 on 1 lesson here. The kung fu classes focus on upgrading one's skill and teaches aspects of the three Internal Kung Fu systems Taijiquan, Baguazhang, Xingyiquan. Our kung fu classes will suit people that are interested in traditional kung fu and those looking for a new way to work on improving movement and health. Kung Fu will help you to become more disciplined both physically and mentally. While we offer complete systems of both Xingyi and Bagua you will also learn various drills and exercises associated with traditional Chinese Kung Fu and Chinese health systems. The nature of these internal arts is very challenging and will test you both physically and mentally. Ultimately learning kung fu should give you a new sense of mindfulness and strength. A kung fu group limited to 8 people, which is a great opportunity to get more direction and 1 on 1 time with the teacher. 1 on 1 tuition is still available, but must be book well in advance to avoid disapointment, book a 1 on 1 lesson here. Enter your email address to subscribe to the Internal Kung Fu blog and receive notifications of new posts by email. KEEPING KUNG FU REAL THROUGH INTERNAL ARTS. Unite the body and mind whilst conditioning muscles and tendons. From warming up to issuing power, stepping, striking, and throwing drills. With strong ties to fighting application - taking on the forms of Taiji, Bagua and Xingyi is quite the challenge, but, eventually becomes a truly rewarding journey. Breathe like you've never breathed before, with dedicated exercises that help to train the internal organs. There are many traditional kung fu applications from Xingyi, Bagua and Taiji. Internal kung fu doesn't rely on hard (external) methods to develop physical strength or use brute strength to overcome opponents, however, do not think of Internal Kung Fu as easy or soft, the training can be strenuous and quite exhausting. I have often been told how surprised a student was with the amount of effort it took to complete the exercises, when considering how little they were doing. When practising Internal Kung Fu you spend a lot of your time working on coordination, control, focusing the mind and breathing. Often shortened to t'ai chi (pinyin: tàijí), taiji or tai chi in English usage, t'ai chi ch'uan or tàijíquán is an internal Chinese martial art practiced for both its defense training and its health benefits. Taijiquan usually moves slowly, movements are translated directly into fighting application yet endeavors to always avoid meeting any opposing force. It can be said that Taijiquan teaches sensitivity, yielding, sticking and redirection. Baguazhang contains a wide variety of forms and techniques which make it exceptionally difficult to master. Bagua can attack and defend equally well, and is particularly great at teaching stepping, throwing and striking. Baguazhang is made up of Pre-Heaven and Post-Heaven forms with the main focus being change. Bagua has a bit more martial training than Taijiquan and much of the forms and training methods contained are also directly translated into fighting application and attacks. Practising Baguazhang can help with many aspects of developing ones mind and body and undoubtedly leads to better health if allowed. Oldest of the three Internal kung fu systems is Xingyiquan and just happens to also be the most basic and martial. Characteristics of Xingyiquan are explosive straight line attacks that may intend to overwhelm an opponent, again there is a direct relationship between form and fighting techniques. Xingyiquan honors Yuefei as the founder of its school, its origin can be traced to Ji Jike of Shanxi in the early Qing dynasty. It is said that Ji Jike created Xinyiba who was also proficient in the Liuhe Spear method. Later, he also obtained the posthumous martial-arts chronicle of Yuefei, wherein he employed the execution of the Big Spear as fist methods and united it with his original study of Xinyiba to create this martial art. Xingyiquan simultaneously attacks and defends at close range, it teaches structure and timing very well and out of all three Internal kung fu systems is perhaps the most practical for fighting with. 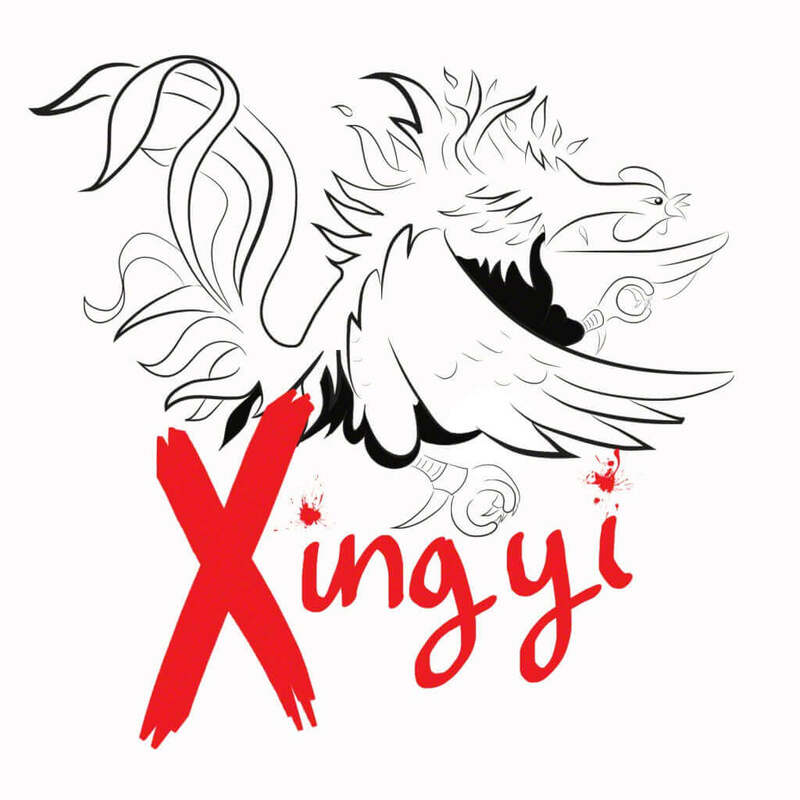 Many people believe that Xingyi derived from spear fighting which would explain the directness and simplicity of its movements and strikes. Internal Kung Fu is extremely challenging and usually attracts people with a good foundation in martial arts. Taiji, Bagua and Xingyi are much more than exercise or fighting, they can affect your entire life. Through practising internal kung fu one can develop many varied skills and improve health of the mind and body.